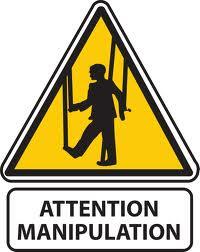 KEDIANOMICS: The Biggest Market manipulator! 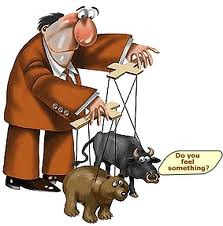 Who is the biggest manipulator of the markets, ever? I surmise it is the market itself. Everytime I participate in some public discussion, as part of a panel discusison or a stand-alone presentation, I am invariably greeted with this very well-cliche'd set of remarks such as that our market has an operator, what do you have to say now? And invariably such an oxymornic question or comment is accompanied with a boxed laughter from the darker annals of the auditorium. What does this reflect? There is a very large part of the market population out here and out there in every other market in the world that loves to find solace in ideas similar to one being demonstrated here. What such remarks or the boxed laughter reflect is that "so what, even if I lost more than I am entitled to, you see here are these market operators who will not let you make money irrespective of your self-profesized skills at Technical Analysis or for that matter Fundamental Analysis or any other form of analysis". Now that's on one hand a very superficial unprofessional occurrence and yet on the other the truer truth is that the market is full of hands that will lose more than they are entitled to lose by their wealth considerations, familial responsibilities and personal goals and yet they would not sit down to analyse why are they losing so much, but they will invent an explanation and often such an explanation is the so called market operator. But then why do you ever have to look into those esoteric B Group stocks that invariably become Z group and why do you have to be smirking much during a rising tide how well connected you are into the grapevine? Why not study the trend, its formation, its expensing and its reversal? When will personal accountability ever reach a wider set of masses? Never! It is this large pool at the bottom of the food chain that makes the market do its job, that of moving wealth and income to smarter hands. Not just smarter minds that think better but smarter hands that move better. Thinking and moving are two seperate actions. Markets are not only a device of human evolution but also a device propagating forward the human evolution of enriching the more potent DNA, in every way! The willingness to surrender one's thinking to that of the collective wisdom of a much more gigantic creature called the whole crowd or the market produces a currency called humility. Humility is the world's most powerful currency. It lets you buy your mistake back in with a simple sorry. Sorry, I have lost more than I am entitled to lose on a single adventure and before someone else profits unduly in a much larger punishment to myself, I will utilize my currency of humility, close the loss and move on. Well, that is anathema to the routine human idea of persistence in adversity, to hold on to your own and to be a "man"! It is this pushing of the non-existent mozo, the proverbial testestorene driven male ego that may be great in entering into a trade or adventure but the nemesis when stopping you from getting out when you are going wrong. Now, this is the basic human nature where the most difficult task for a "man" is to tell himself that he is wrong. If you do not tell yourself in time enough that you are wrong, others and particularly the market will tell you that after it has pushed you to your limits. So humility is then the most powerful currency to have, much more important than any size of your bank balance that ever will become. Ego destroys! Whether the ego borne of an illusion of superior chart reading skills or superior balance sheet reading skills or even the ego of a superior gossip network that you have cultivated! Get humility, it pays the bills! Combining this loss aversion with an idea that only the really astute are practicing risk aversion there is a process of natural selection at work in financial markets. The humbler, nimbler and those with the DNA to be able to move on are losing on any single endeavour within a tolerable limit and the majority is often ending up making losses larger than they can withstand on a single adventure or a short series of adventures. For a moment, let us look at any human enterprise, not just markets since what may be universally true of life and human dilemmas is bound to be true for the markets too. Markets are a human idea. Dogs, snakes, rats, elephants, elegators, monkeys and whales do not trade. Only man does. In any human enterprise why should anyone hope to make more than the majority if that individual is only emulating the majority? No one ever is able to do anything fully well and thus even the desire to be emulating the majority is fraught with leakages, costs and inefficiencies. Even if prices did not change at all for a theoretical model building here, two persons buying and selling constantly without making or losing any differences on prices are still keeping paying a large maintenance charge of the market. Brokerage, exchange fees, regulatory charges and taxes. When you add to these the cost of necessary occupational escapes and of course the credit card swipes for the right kind of tobacco, single malt, that new book out just these days, the new holiday idea etc. etc. the cost of breaking even in the market with zero price risk is too high too! So net net with loss aversion is the primordial human instinct and risk aversion being only a way more evolved instinct, a very high cost of routine transactions in just staying around the market place makes this to be a negative sum game, for a moment's observation. Of course it can be debated though that over long stretches of time its a variable sum game: neither a zero sum, nor a positive sum, but a variable sum game (another note, another day on this..). Now to just ensure that the market as an institution always is around, what should the collective energies of all together constituting the market be doing? It would naturally force prices to be gyrating and moving in a way that the number of people feeling insecure, inadequate or in plain words having a feeling that they are wrong would be maximized. Yes, Mr. Market moves in a way so as to maximize the number of people feeling they are fools! If this simple idea were not true why would the establishment be able to routinely pay for impressive salaries of analysts, investment managers, journalists, regulators and thus also the professional traders and then your so called market manipulators too? 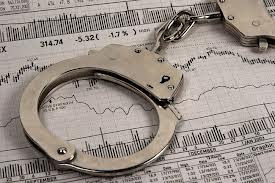 It is this lack of personal accountability that is riding the high horse of conviction wrapped around a deep insecurity at handling risk wherein most are looking for guaranteed profits! That is where guaranteed losses are explained, across the board by the majority! You can aggrandize this into either stating that prices will move past rapidly through lines of least resistance (moving rapidly in price areas or news areas when you would expect no or another movement) or you might even at the holy altar of quantifying fantasies state that the vector sum of all existing bets and all possible bets into all possible future time horizons is turned zero at each next tick. Well, put whichever way, for the market to survive and sustain and be a perpetual institution it does not need to care for any manipulators, since the whole idea of rewards being taken away by smarter hands from the less than smart ones becomes then the basis of the Theory of Contrary Opinion. A popular opinion can at best be the end of a fad, fashion or trend. A Contrary Opinion with appropriate tools of execution is the ability and skill of identifying change and when you combine this with an idea that time is a concept that is completely fungible, infinitesimally divisible and infinitely multiplicable it leads to a shape of sense where one can visualize that the biggest deceptive machinery and the biggest agent provacateur of manipulation of the inferiorior DNA into submitting to the superior one's is the market itself. 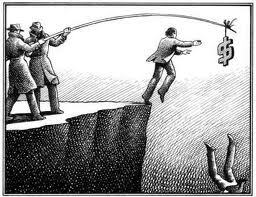 Mr. Market, you are the biggest manipulator and those who would try manipulating even you, either die broke or go to the jail, most of the time.